New Haven, CT: the jenny-press, 2010. Open Edition. 6 x 9"; 48 pages. Written, designed and published by Jae Rossman. 18 color photographs. Softcover with glossy color covers. the jenny-press: "The publication presents the essays of scholars Stephen Bury and Marcia Reed and artist Angela Lorenz on the relationship between contemporary and early-twentieth-century bookworks. 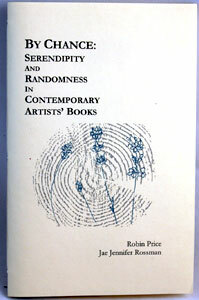 Originally presentations at a 2007 conference of the same name, this book is a permanent documentation of the presenters' ideas. 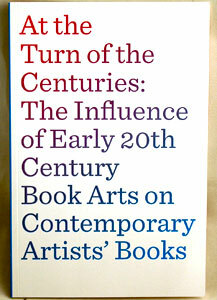 The lecture and this publication also honor the late Tony Zwicker, an important advocate of artists' books. 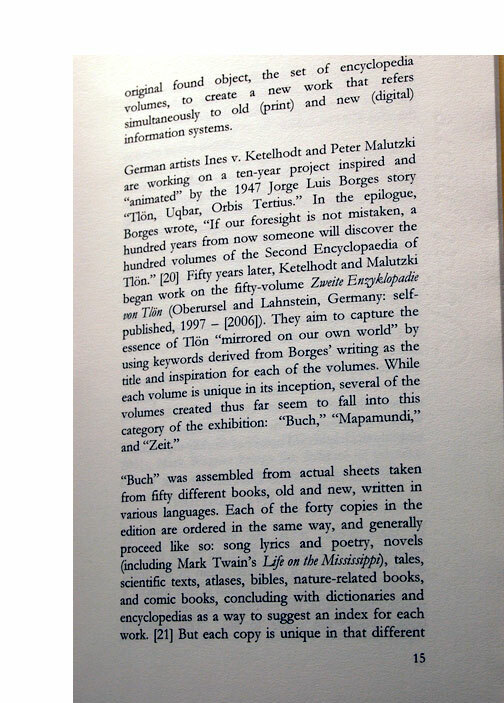 "Stephen Bury considers the text engine as a generative device from Jonathan Swift to Oulipo. 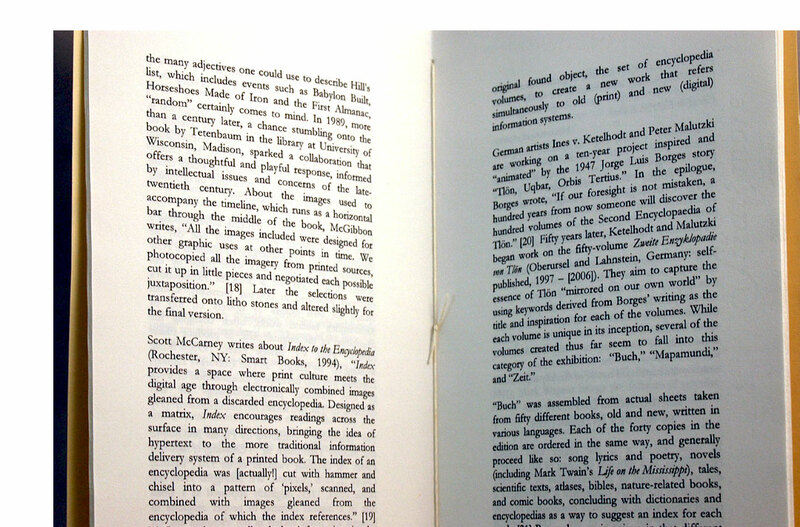 Marcia Reed discusses how certain formats, particularly boxes, and methodologies, such as an artist's documentation of their own work or experience, are recurring themes in the 20th century bookworks. Angela Lorenz discusses from the artist's point of view the incorporation of historic and unexpected sources into bookworks." New Haven, CT: the jenny-press, 2007. Edition of 300. 5.25 x 8.25"; 90 pages. Written, designed and published by Jae Rossman. Perfect bound. Softcover in blue/gray wraps. the jenny-press: "This publication explores the artmaking practice of individual artists for whom handmade paper is distinctive to their work and not-for-profit institutions that support hand papermaking. In the first section, self-selected participants answered a series of questions about their creative process and final products. 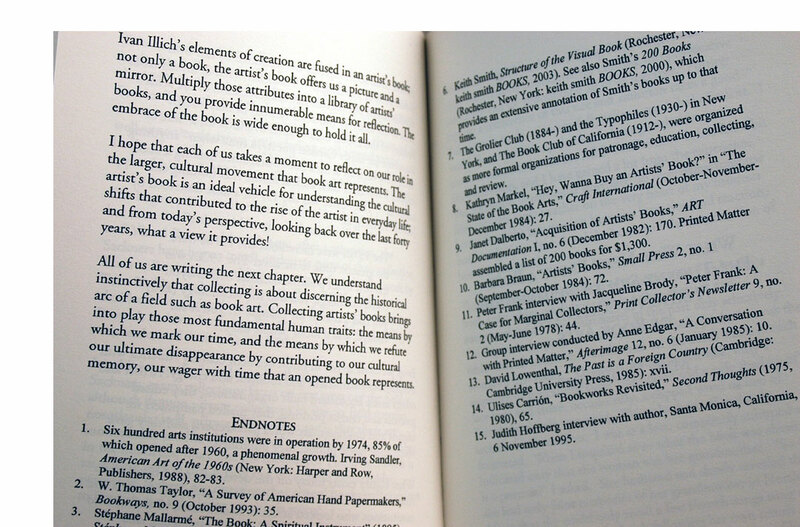 The second section consists of two annotated bibliographies: one by the artists and artistic directors about their own work, and the other compiled by the editor of individual books that use handmade paper in a way that contributes to the content of the work. 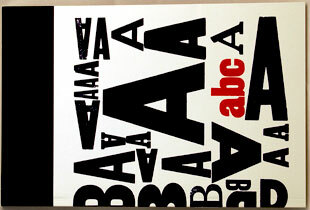 The cover of the publication features a die-cut and flaps that unfold to reveal paper samples by five of the eleven participants: Brian Borchardt, Dorothy Field, John Gerard, Caren Heft, Jeffrey Morin, John Risseeuw, Robbin Ami Silverberg, Joan Soppe, Claire Van Vliet, Dieu Donne Papermill (Paul Wong), and Women's Studio Workshop (Tatana Kellner)." New Haven, CT: the jenny-press, 2005. Edition of 300. 5.5 x 8.25"; 56 pages. Perfect bound. Softcover with illustrated wraps. Numbered. the jenny-press: "This conference was held at Wellesley College, June 15-18, 2005, and was intended for all people involved with artists' books to exchange viewpoints, share information, and explore ideas. The conference, composed of panels, tours, and a book fair, considered many aspects of the field, from collecting to production and marketing. The conference was 'bookended' with two keynote addresses. The opening talk offered a historical perspective by Betty Bright and the closing talk present and exploration of collection development practices by Mark Dimunation. The keynote addresses are published together with an introduction by the conference conveners, Ruth Rogers and Richard Zauft, and a list of artists and works cited in the talks." New Haven, CT: the jenny-press, 2004. Edition of 300. 5.5 x 8.5"; 30 pages. Printed on acid-free paper. Paper wraps. Sewn binding. Signed by the authors. 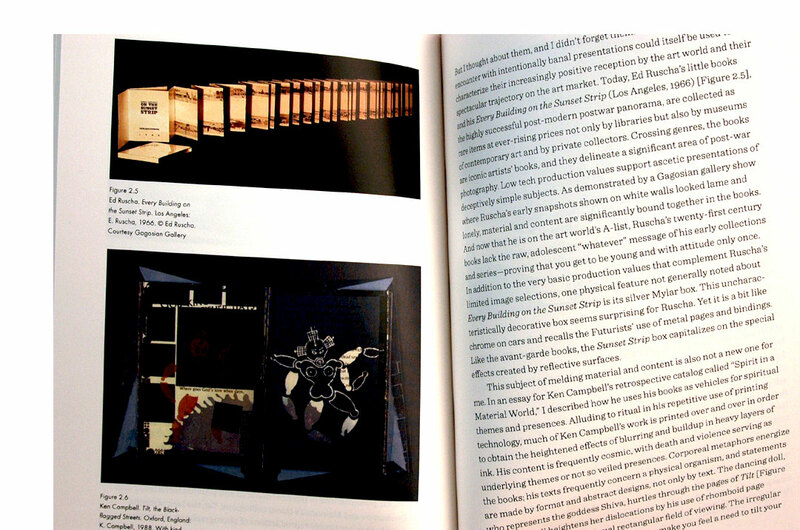 Colophon: "The cover image is a combinatory blind collaboration between Price and Rossman. Each author created an image knowing only that these would be screen-printed, one on top of the other. The order of imposition and ink colors were determined by chance, in this case a throw of the dice." Authors: "Robin Price is the proprietor of Robin Price, Printer & Publisher, Middletown, Connecticut. "Jae Jennifer Rossman is the Special Collections Librarian for the Arts Library, part of the Yale University Library, and the proprietor of the jenny-press, New Haven, Connecticut." the jenny-press: "Chance is often a factor in the creation of artwork. 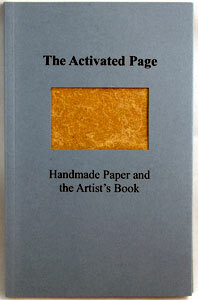 Making books and other artworks by hand allows serendipity and randomness to sneak into their creation. Over the years many artists have incorporated into their creative process chance operations, randomness, or blind collaboration. In this essay, authors Robin Price and Jae Jennifer Rossman explore several categories of chance processes and elaborate on their use in the work of contemporary book artists."